London, July 24, 2018: London-based start-up Trint, the pioneer of AI-powered speech-to-text transcription, has been selected to receive one of only two large grants awarded in the U.K. in the latest round of Google’s €150 million Digital News Innovation (DNI) Fund. The fast-growing company will receive €300,000 to support the development and build of ground-breaking technology that will allow news organisations and others to leverage translation AI in ways never seen before. 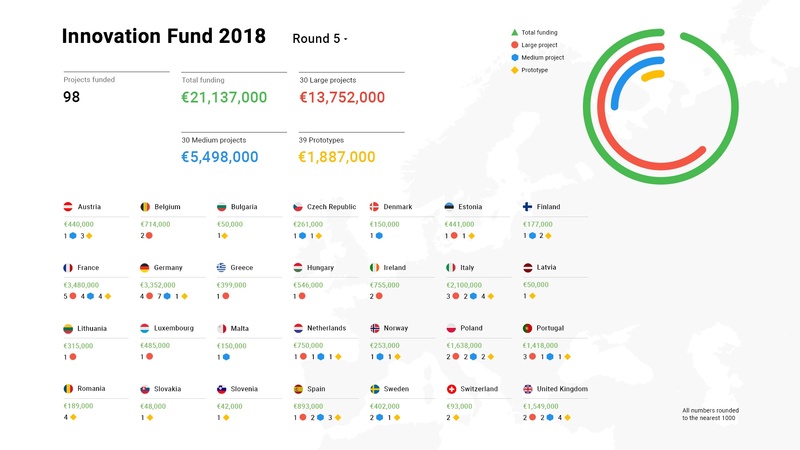 The Google DNI Fund is a partnership between Google and news organisations in Europe tasked with promoting technology and innovation to drive high-quality journalism. Google received more than 800 funding applications in this round, of which 98 were granted, including 30 large grants. Google DNI Fund is providing financial support for the Trint Translation Project (TTP), which adds translation capabilities to the company’s widely-used AI-powered transcription software. TTP will dramatically increase the speed with which news organisations (and others) create, tailor and distribute content to a worldwide audience by providing fast and highly accurate translation. Trint’s technology is used by news organisations, businesses and governments around the globe to solve what CNN has defined as its “single biggest technological challenge”: making recorded audio and video searchable and discoverable in a fast, affordable way that doesn’t compromise accuracy. Trint initially focused on the media industry, enabling organisations to TRanscribe INTerviews – or “Trint” – within seconds, in a fully searchable and reliable fashion. Trint is now used broadly by academic researchers, marketing companies, corporate communications, the legal profession, media monitoring agencies, healthcare and others. Trint was founded by Emmy award-winning journalist Jeff Kofman a veteran foreign correspondent and war correspondent with ABC, CBS and CBC News. During a 2013 visit to London’s Mozfest, an innovation conference for media developers, Kofman was inspired by his discovery of prototype speech-to-text technologies. Having transcribed thousands of hours of his own interviews he wondered whether AI-generated speech-to-text could be enhanced with workflow that would make it easy to search and verify the machine-generated transcripts. The company’s transcription technology is already being used by some of the globe’s largest media organisations including The New York Times, the BBC, The Washington Post and Associated Press (AP). AP, for example, uses Trint to generate searchable transcripts of audio and video that can be promptly verified and timed. In a pilot project, AP journalists used Trint to transcribe audio and video from recorded interviews rather than doing so manually. The project found that video producers were spending more than 45 minutes per day on manual transcription, while using Trint resulted in a significant reduction in transcription time, and also enabled users to assess the news value of content much faster. Founded in December 2014, Trint is one of London’s fastest-growing startups. Based in Shoreditch in East London, Trint now has 36 employees; the company will open its North American headquarters in Toronto in September. Trint is the first automated transcription service to combine a text editor and an audio/video player into one easy-to-use tool, making it possible to search recorded content by keywords, verify by re-listening to just that portion of an interview and edit a transcript to perfection in minutes. Backed by funding and support from Google Digital News Innovation Fund, Knight Enterprise Fund, BBC Worldwide Labs and Cisco, with investment from Li-Ka Shing’s Hong Kong-based Horizon’s Labs, Trint is transforming the management of recorded content in English and 12 European languages with a unique set of features that includes instant search of recorded content, easy speaker identification, instant timing and a variety of formats for export as a text document or captions/subtitles. Since the beginning of 2018 the team has released Trint for Enterprise, a Trint mobile recording app for iOS and a Trint plugin for seamless integration with the Adobe Premiere Pro video editing platform.